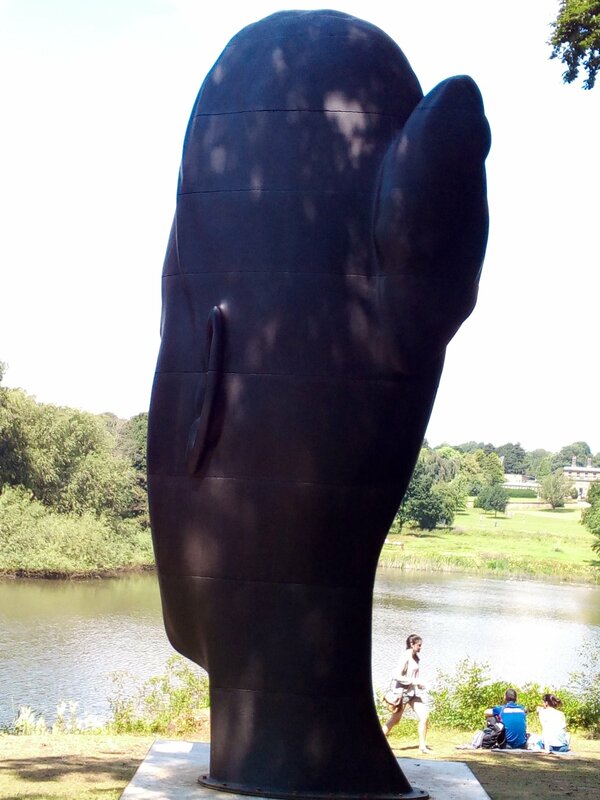 Olga, who blogs at Olga Author Translator, took this beautiful photo last year at the Yorkshire Sculpture Park. 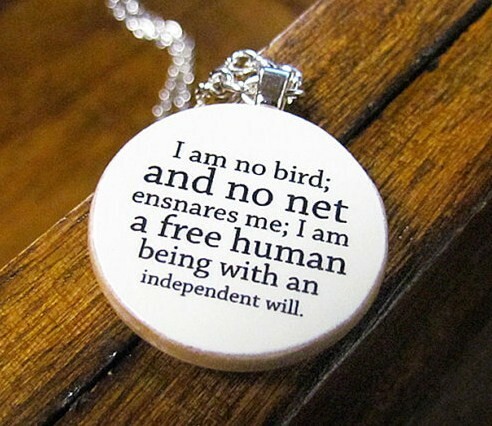 I don’t know if it is supposed to be Jane Eyre, but it certainly reminds me of her! In fact, this sculpture is called Wilsis and belongs to a series of portrait heads by Jaume Plensa, depicting young girls from around the world, with their eyes closed in a dreamlike state of contemplation. 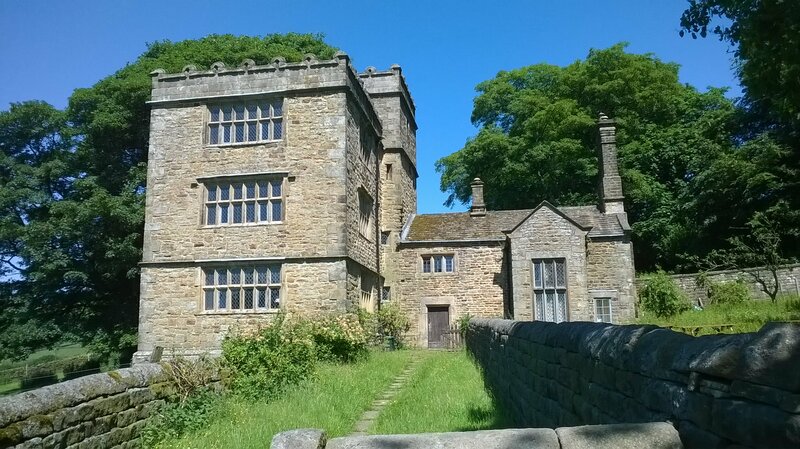 Anne Godwin, who blogs at Annecdotal, took these photos of North Lees Hall, which many believe was Charlotte Bronte’s inspiration for Thornfield Hall, during one of her many walks which she finds conducive to the creative state of mind. 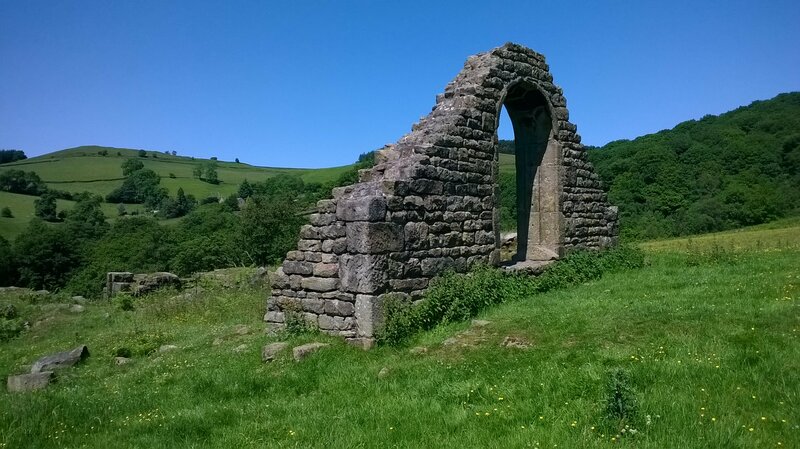 In fact, On Sunday, 17th June 2018, she’ll be leading a guided walk called In the footsteps of Jane Eyre, at the Peak District National Park, more information about the walk here. An enormous thanks to both Olga and Anne, readers, writers, book bloggers, and supportive participants of many online book blogging and writing communities, for allowing me to include their photos on today’s post, meant as a humble tribute to Jane Eyre, a novel I know both of them also love and admire. Jane Eyre was an underpiviledged and underfed, Victorian orphan. She didn’t stand a chance of living her own life, and yet she fought for her place in the world, in spite of constant adversity. She was honest, tenacious, loyal, intelligent, hard-working and fiercely determined to be ‘an independent woman’. I would never have had the inspiration or courage to write The Eyre Hall Trilogy if I hadn’t read Jane Eyre when I was a teenager. I’ve regularly reread it since then. It took me a long time, but I eventually followed my dreams, too. Last year’s AtoZ Challenge was All About Jane Eyre, in case you’d like to check it out. Have you read Jane Eyre? What are your thoughts? My latest copy of Jane Eyre, the one I’ve been rereading since 1980! 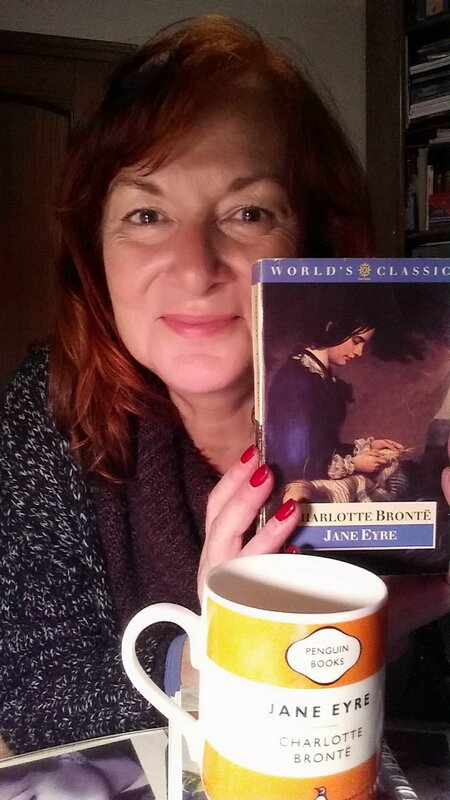 And my Jane Eyre cup, a present from my best friend, Anna, who is neither a blogger nor a writer, but who knows? I’m working on it and both are highly contagious! Thank you for your picture and constant support, Olga❤ I’d love to go on the walk, but distance and logistics are a problem for me too. Congratulations on following your dreams and successfully completing your trilogy, Luccia. That’s quite an achievement. Your tribute to Jane Eyre is wonderful. You know, I haven’t read it yet. Should I, before I read yours? The quote under the poem is a good one too. I like the way you have honoured your writing buddies by using their photographs. Nice post. I’ve actually stayed in North Lees Hall in the photograph above and foundd it very atmospheric! On my list of places to visit asap!